Today we’ve been geocaching. 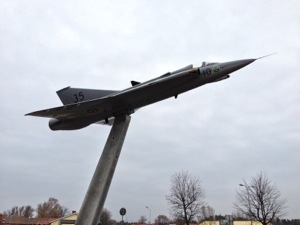 We’ve found 6 caches in different parts of Linköping. One of the caches was by my workplace. It’s too many people there during the weekdays so I’ve never tried to find it. The cache was fairly close to the airplane by the main entrance. 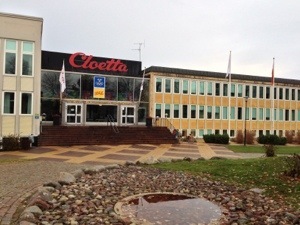 We also visited the factory store of Cloetta where we bought plenty of yummy chocolate and candy. In the evening we went for dinner at New York Legends together with a cousin. 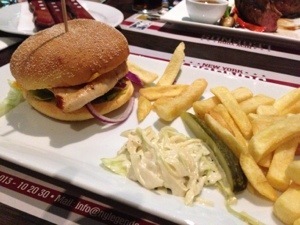 I ordered a very tasty chicken burger.